"Winner of the M.M. Bennett Award for Historical Fiction, announced in June 2015". 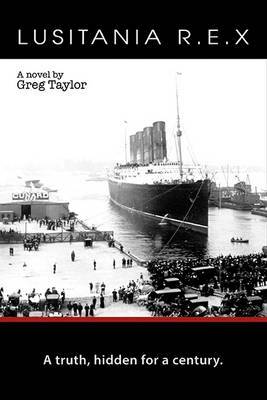 LUSITANIA R.E.X is an historical account of the sinking of the Lusitania replete with spies and secret societies, super weapons, millionaires and martyrs. After being struck by a single torpedo on May 7th 1915, the Lusitania sank in only eighteen minutes. Passengers such as Alfred Vanderbilt, one of the wealthiest men in the world, ignored warnings from the German embassy, confident the fastest ship in the world could outrun enemy submarines. Since the time of her sinking, the Lusitania has been wrapped in mystery and intrigue. Experts continue to debate the cause of the second explosion that sealed her fate after the torpedo struck. Imperial Germany immediately claimed she was loaded with explosives destined for the front. LUSITANIA R.E.X weaves a tale around disputed facts to create a plausible explanation of some of the mysteries surrounding her sinking.